Play is underway for the final day in the $177,000 prize pool Launch, the kickoff event for the 2017 @WPTDeepStacks Championship Series. 45 players return to play down to a winner of $36,822 including an entry in the Million Dollar Guarantee WPtDS Championship next weekend. 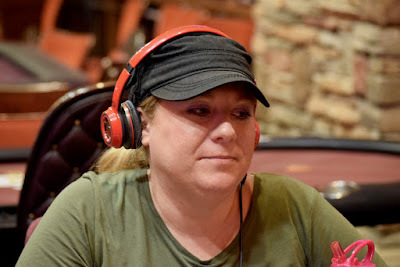 Carrie Diggs - one of the day's short stacks - is out on the first hand of the day, cashing for $890. One hand later it is Jaroslaw Markowiak also cashing for $890.